published by Editions Henry Lemoine 28 309 H.L. 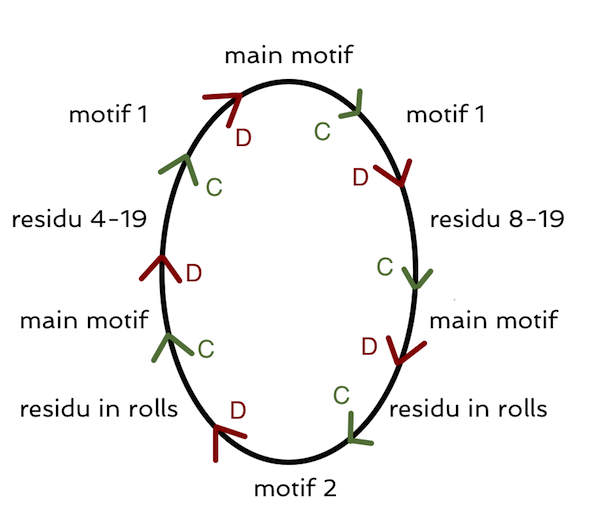 Within each loop, smaller loops exist to develop the different transformations. The periods in these smaller loops often overlap: regressive transformations for a specific parameter can continue for some measures while another parameter has already changed into an constructive transformation and vice versa. The image below shows an overall structural plan of the composition. A detailed structure is provided on this page.